Voted for by its loyal traders, LQDFX was awarded the best ECN broker in January 2017. The company’s CEO put on record, stating: "2016 was an exceptional year for our ever growing company & we would like to thank our clients for taking the time out to vote for our business over the previous twelve months." LQDFX provides ECN/STP execution to all of its clients and has been recognized after providing lightning quick, no conflict of interest execution. LQDFX would like to thank those who voted and is looking forward to being the best ECN/STP broker for years to come. 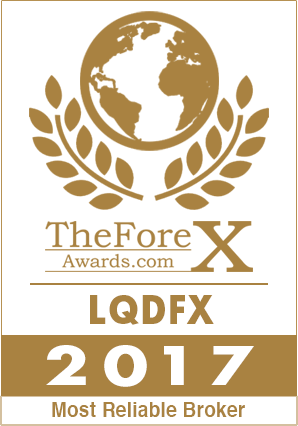 LQDFX, a global provider in FX, CFD's, Indices & commodities markets received the award for the Most Reliable Broker award in January 2017, voted by you, the traders in 2016. LQDFX provides its clients with the MT4 platform and looks forward to continuing its reliable execution, customer support and tight spreads. The company’s head of operations stated, as an organization, we were delighted to receive such a recognized industry award.